By this time next week, most of the world’s best hockey players will have arrived in Sochi for the 2014 Winter Olympics. The tournament will mark the fifth time the league’s top players will be participating in the Games. In the years before all the world’s best players were allowed to compete, we saw plenty of players who dominated at the Olympics but had little if any impact at the NHL level. That list would include most of the top Soviet players of the ’70s and ’80s, as well as other European stars over the years. And of course, just about all the last century’s top NHL stars had little opportunity to make any sort of Olympic impact. With a small handful of exceptions, throughout almost all the 20th century, players had the opportunity to lace up in either the NHL or the Olympics, but not both. But that equation changed in 1998, and now that we’ve had 16 years of the top NHL stars participating in the Olympics, plenty of guys have had the chance to shine on both stages. But who’s done it best? That seems like the sort of thing that calls for a subjective and arbitrary ranking that will end with people yelling at me. So let’s give it a try, using this question: Weighting NHL and Olympic performance equally, which 10 players have been the best of both worlds? Is Marian Hossa’s NHL career underrated? I feel like we can go ahead and say he’s underrated. Granted, it’s because he’s essentially gone his entire career without ever being the best player on his own team, but he’s going to retire someday, and we’ll all be shocked when we realize he wound up with 500-plus goals and something around 1,200 points. But whatever you think of his NHL career, you’ve almost certainly underrated his Olympic résumé. Because he plays for Slovakia, he’s never won a medal (though he did play for bronze in 2010). And he got to play in only two games in 2002, because of the old tournament format that forced teams like Slovakia to play qualifying games without their NHL players. But despite that, he’s put up 25 points in just 15 games, for a 1.67 points-per-game average that ranks near the top of the list among NHL pros. Bure played in only two Olympics, but he makes the list for two reasons: One, I still think he was criminally underappreciated in the NHL, and I’m going to take every opportunity I ever get to pump his tires; and two, he was extra ridiculous in the 1998 tournament, when he scored nine goals. That’s it, by the way. No assists. Just nine goals. When Pavel Bure was at his best, he didn’t do assists. And he may never have been better than in the 1998 semifinal, when he scored an Olympic-record five goals to almost single-handedly beat the Finns. Look at how many breakaways he gets just based on pure speed. And that was against an elite international team. Imagine what he did in the mid-’90s against teams like the Tampa Bay Lightning. Stastny was one of the NHL’s first great European stars, coming to North American in 1980 at the age of 24. He always seemed to be in the shadow of guys like Wayne Gretzky and Mario Lemieux, but even for the high-flying ’80s, his numbers were stunning. He put up seven 100-plus-point seasons, including six in a row, and his 1.27 points-per-game ranks seventh in league history. His Olympic résumé is an odd one: just two appearances, separated by 14 years. Before his NHL debut, he played for Czechoslovakia in the 1980 games. Thanks in part to a series of blowout wins over nations like Romania and West Germany, Stastny racked up 14 points in just six games, finishing second in scoring for the tournament. Almost a decade and a half later, as his professional career was winding down with the St. Louis Blues, he’d return to the 1994 Games, this time as part of the first Olympic entry for Slovakia. He added nine more points, helping Slovakia to a surprising first-place showing in Group B (over favorites like Canada, Sweden, and the U.S.) before losing 3-2 to Russia in the quarterfinals. Oddly, between his two Olympic appearances, Stastny suited up for Team Canada at the 1984 Canada Cup. Next week, his son Paul will be making his second appearance for Team USA. Brodeur’s NHL résumé is printed all over the record book; he holds the top spot on the career goaltending list for just about every counting stat you could imagine, some by a ridiculous margin. These last few years haven’t been kind to him, and you could quibble over whether he’s really the best ever or just in the conversation, but that’s about it as far as the negatives go. Oh, and he has three Cup rings, if you’re into that sort of thing. His Olympic career has been much more of an up-and-down ride. He was named to Canada’s 1998 team but never saw the ice, and in 2010 he quickly lost his starter’s job to Roberto Luongo. But he played well in 2006 and was excellent in 2002. That latter year, of course, was the one that saw Canada facing massive pressure to end its 50-year gold medal drought. Brodeur started that tournament as the backup to Curtis Joseph, but quickly took over the starter’s job and gave up just four goals in three games during the elimination round. As a defenseman, Pronger doesn’t match the scoring totals of some of the other skaters on the list. But he doesn’t need to, because he was one of the most dominant players of his era. He played 19 years in the NHL and was still going strong at 37 years old when a head injury ended his career. He won both the Norris and the Hart in 2000, becoming the only defenseman to be named MVP in the more than 40 years since Bobby Orr last won the award. He bounced around a bit later in his career, always marking his arrival by dragging his new teams to the Stanley Cup final. Pronger is the only player to play for Team Canada in all four Olympics of the NHL era, including the 2002 and 2010 gold-medal teams. His 25 games played is the most in Canadian history. In the NHL, Lidstrom played for 20 seasons while developing a reputation for being Nicklas Lidstrom. In the Olympics, he was also Nicklas Lidstrom. Really, I’m not sure what else I need to tell you. He was very, very good. He scored the winning goal in the third period of the 2006 gold-medal game because of course he did. Jagr’s NHL accomplishments have been well documented, and he’s still racking up numbers, even at the age of 41 — this season, he’s the New Jersey Devils’ leading scorer by a wide margin. He ranks seventh in career points, which is amazing considering he spent three years in the KHL. If he’d stayed in North American for his entire career, there’s good chance he’d be sitting in second spot, behind only Gretzky. He’s played on all four Czech Republic entries during the NHL era, including the 1998 team that won gold. His 20 career points are impressive, but even that total is likely to change. He’ll be suiting up for a fifth time next week. Forsberg’s NHL career was plagued by injuries, but when he was healthy, he was arguably the game’s best two-way forward. His career points-per-game of 1.25 ranks eighth in NHL history, which is amazing when you consider he played during the Dead Puck Era. He was part of two Cup-winning teams with the Avalanche, and will likely go into the Hall of Fame this summer in his first year of eligibility. 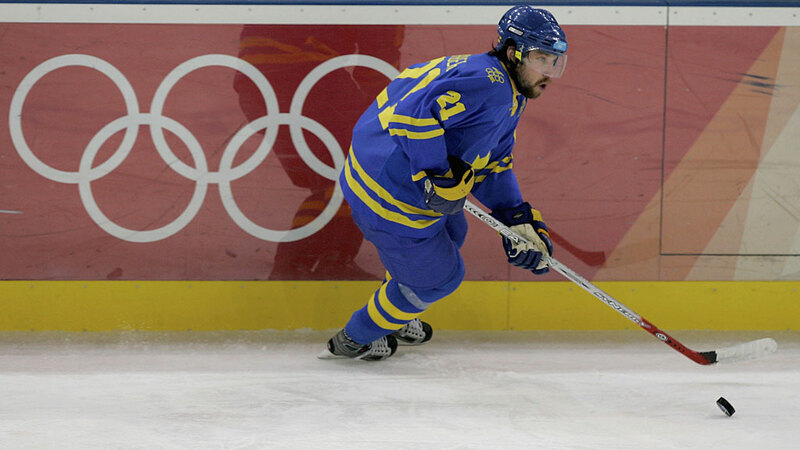 Forsberg actually made his Olympic debut before he arrived in the NHL, and it was a memorable one. 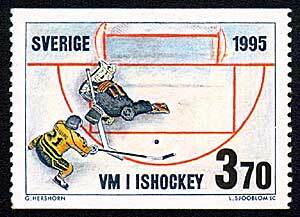 His shootout winner in the 1994 gold-medal game became one of the most famous moves in hockey history, earning him his own Swedish postage stamp. He’d suit up for Sweden three more times after turning pro. (An injury in 2002 kept him from joining the five-timers club.) That included a second gold medal as part of the 2006 team. Hasek is one of the most decorated goalies in NHL history. His six Vezina Trophies are the most anyone has earned under the current “best goaltender” criteria, he’s the only goalie in league history to win multiple MVP awards, and his .922 career save percentage is the best of all time. He may be the best goalie the league has ever seen, period. His Olympic résumé isn’t quite as pristine. He actually made his debut at the 1988 Games, where he posted an unimpressive 4.98 GAA. He played reasonably well in 2002, and then suffered an injury just nine minutes into the 2006 tournament that ended both his NHL season and his Olympic career. But of course, we’ve skipped one appearance, and it’s the one that lands Hasek his spot on this list. In 1998, Hasek put on one of the greatest goaltending performances ever seen. He allowed just six goals in the tournament, shutting down Canada in a semifinal shootout win and then beating Russia 1-0 in the gold-medal game. The top ranking on these sort of lists always seems to generate controversy, but I suspect that won’t be the case this time around. Despite not coming to North America until he was 22 and suffering through several injury-shortened seasons in his early years, Selanne has stuck around for 21 seasons. His 682 career goals leaves him just outside the top 10, and he still has an outside shot at catching Lemieux and Steve Yzerman before he’s done. Meanwhile, his rookie record of 76 goals seems more unbreakable every year. Like Forsberg, Selanne played in an Olympics before his NHL career began, scoring seven goals in eight games as a 21-year-old at the 1992 Games. He’s been named to every Finnish entry since 1998, and while he never won gold, he did win three medals and was named best forward at the 2006 tournament. Oh, and his 37 career points are the most in Olympic hockey history. Will that record ever be broken? Yes, probably sometime next week, by Teemu Selanne. At the age of 43, he’ll make a record-tying sixth Olympic appearance for Team Finland. The former Habs captain had 30 points in four Olympic appearances. Fourteen points in 16 games over three appearances. Didn’t have much impact in his two appearances in the NHL era, but was dominant as a teenager at the 1992 tournament. The Hall of Famer was the captain of Sweden’s 2006 gold-medal winner. Is headed to his fifth Olympics after being a somewhat surprising inclusion on Sweden’s Sochi roster. Played in 24 games over four tournaments, though oddly managed just five points. His Olympics résumé includes two gold medals and double-digit goals. Suited up for Canada three times, and played the game of his life in the 2002 gold-medal final. By now you’ve probably noticed the lack of Americans in the top 10. I can explain that. It’s not that America hasn’t produced some great players; it has. But their best generation of players peaked in the mid-’90s, just before NHLers started going to the game. Chalk it up to timing. If this list included World Cup and Canada Cup results, it might be a different story, but as it is I’m not sure whom I’m supposed to bump off the list for one of these guys. Sorry, America. But don’t worry, this guy will have earned a spot on the list in two weeks.